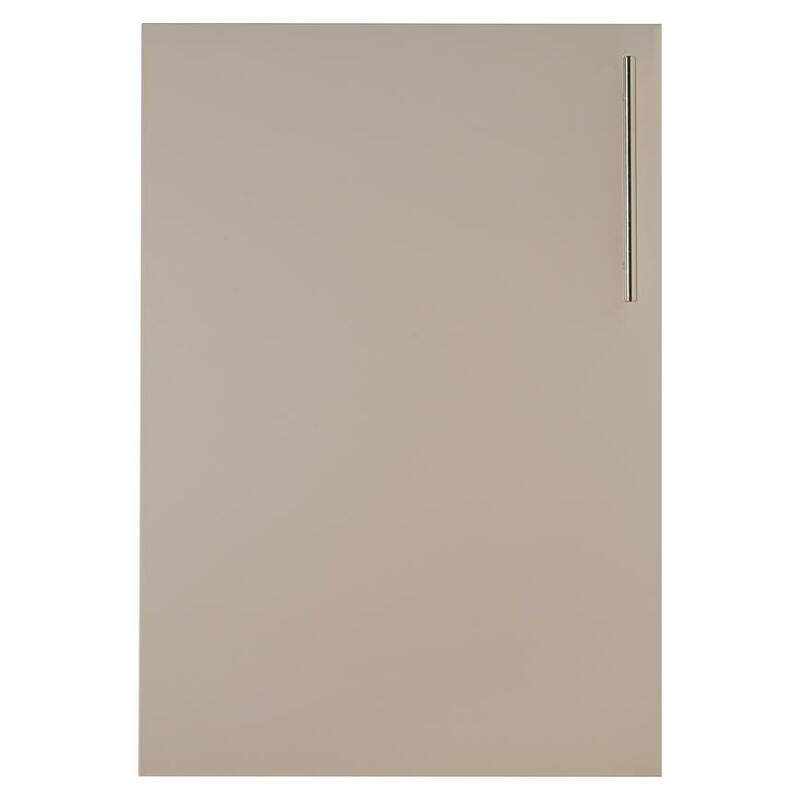 Create an understated kitchen with hints of Scandinavian design using these cabinet doors in soft cashmere. 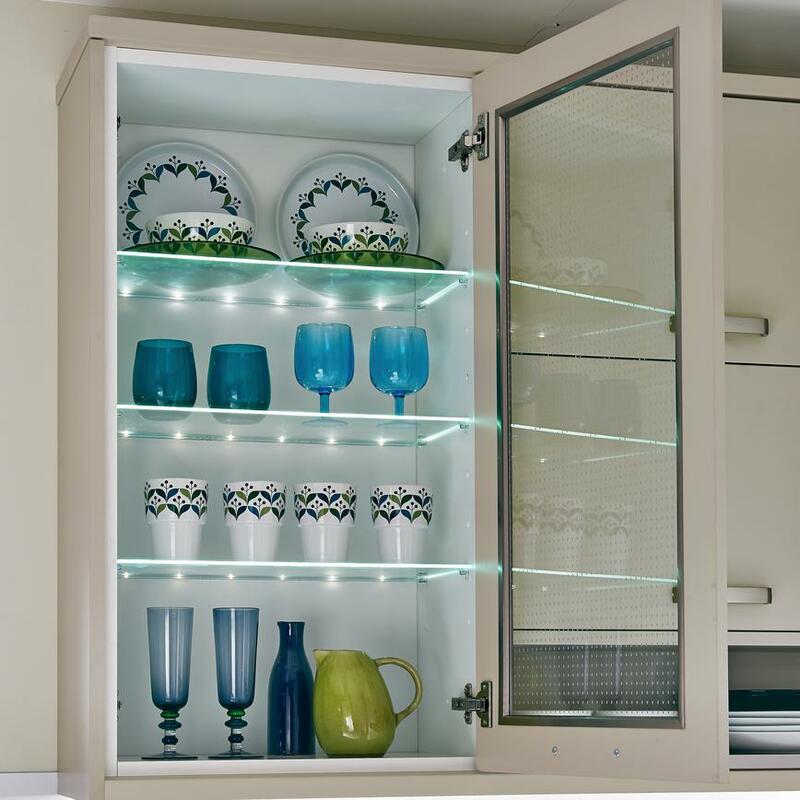 The smooth finish and warm shade of these 15mm-thick cabinet doors suit a peaceful and relaxing kitchen. 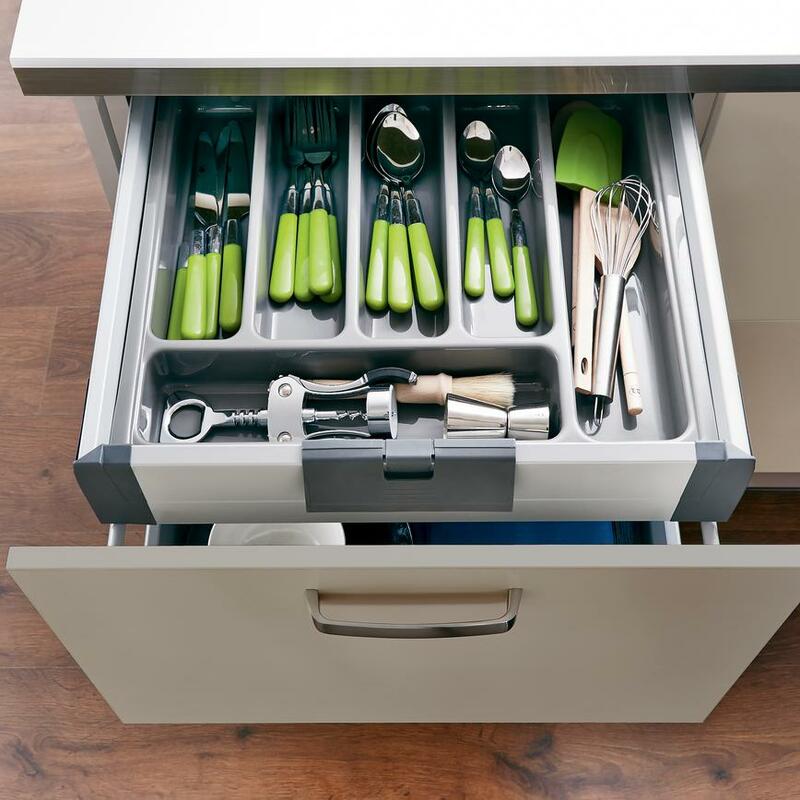 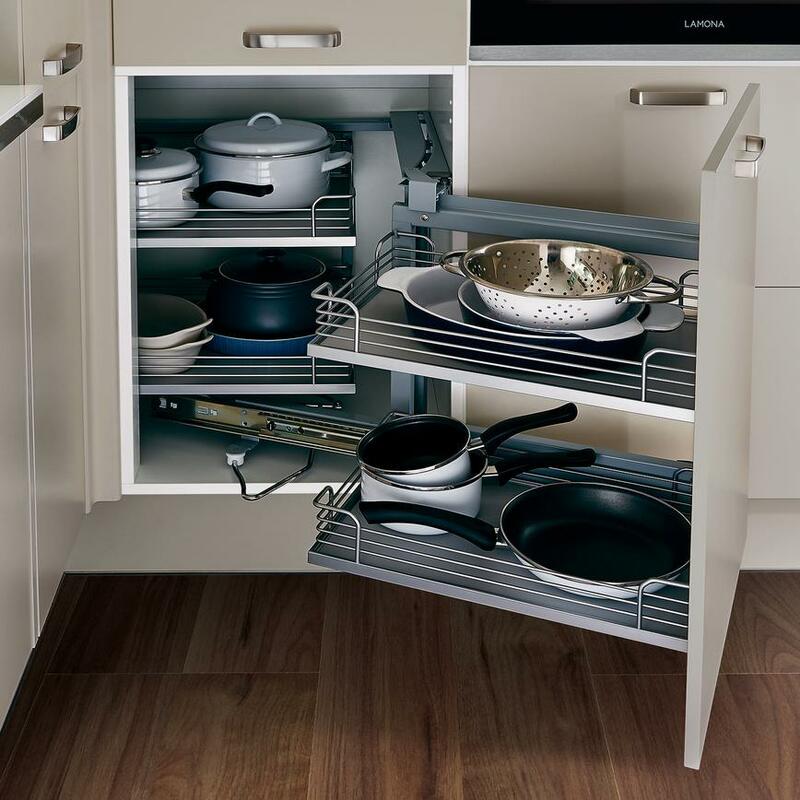 Cabinet options include larder units and deep pan drawers, providing a home for kitchen essentials. 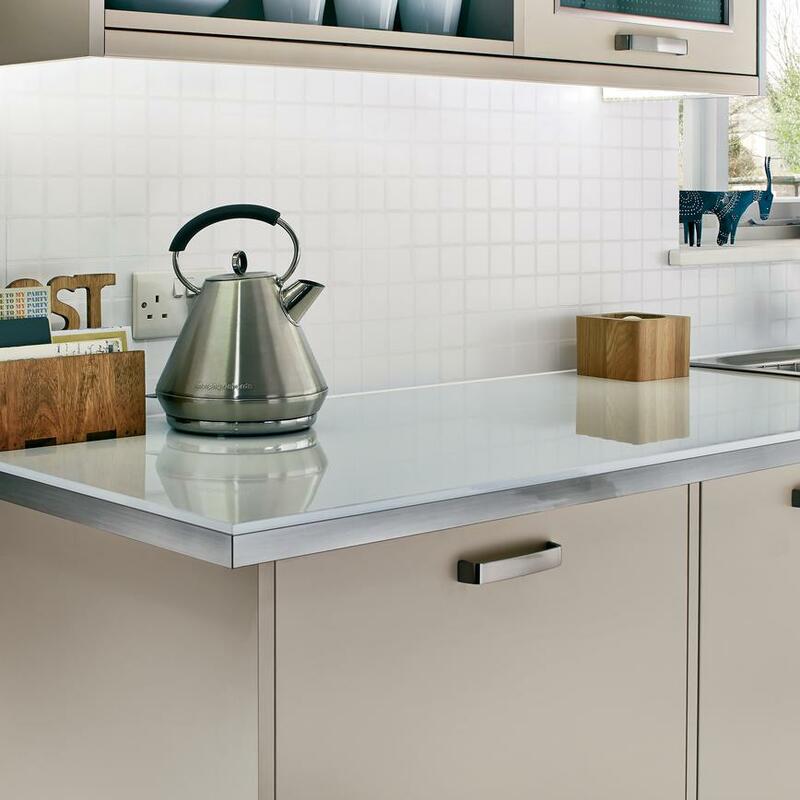 A white glass effect worktop continues the muted palette, and creates a sense of space by reflecting the light. 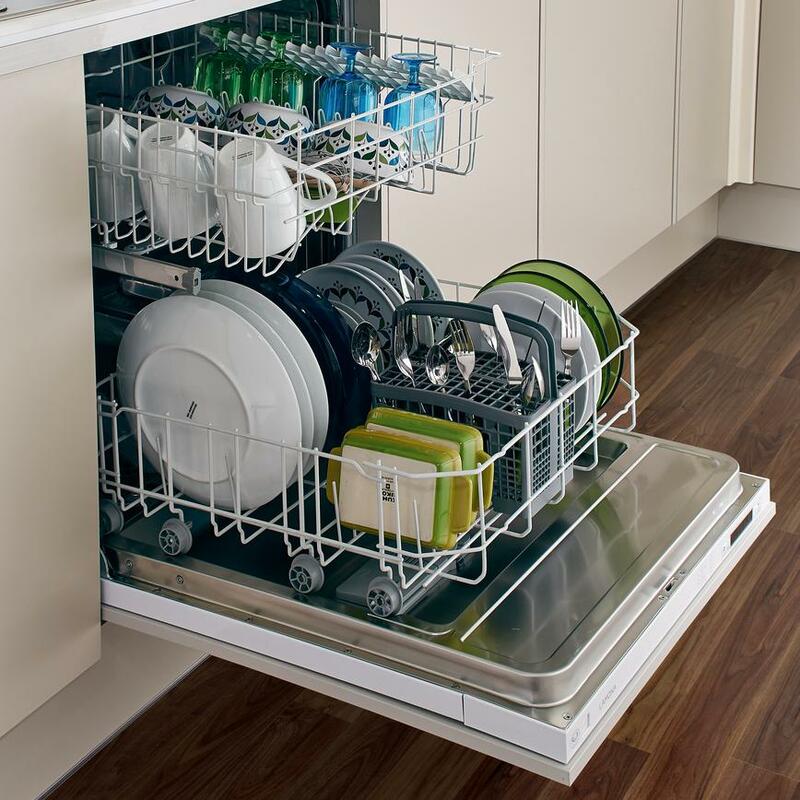 Durable walnut laminate flooring adds character and warmth.Placing a ceramic hob on an island will make the kitchen feel less crowded. 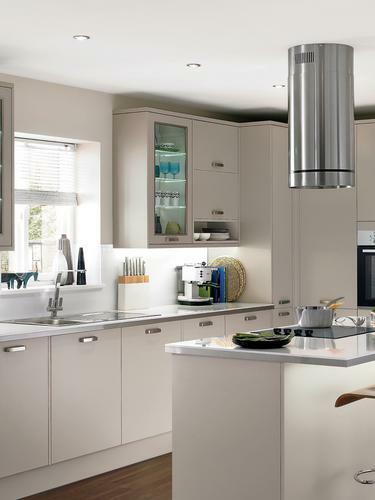 The island can be extended into a breakfast bar too, providing a spot for casual meals with family.A white tile effect backboard mirrors the look of classic tiles, and it is easy for a builder to fit – as well as easy to clean.